What a color! I knew this was for me as soon as my favorite SA Nikki at Saks in Houston swatched it for me. I’m all about a bright pink/fuchsia and this is it! So I have a few things to say about this and depending on what you like maybe you will want to get one of these. This gloss is THICK. It’s thicker than almost every other lipgloss I have. It’s really like liquified lipstick in a tube to me. I usually put on lipstick and then top it off with lip gloss most days if I’m not testing out any lip products. This lipgloss looks like I did both of those steps. 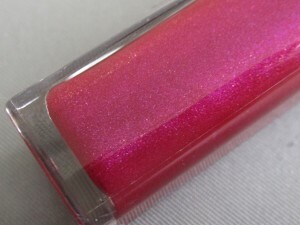 It’s got the rich staying power of lipstick with the glossy shine of gloss. All in one tube! 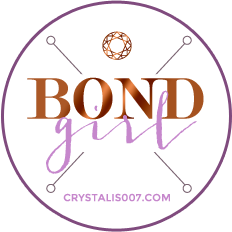 The formula is creamy and totally opaque on me. 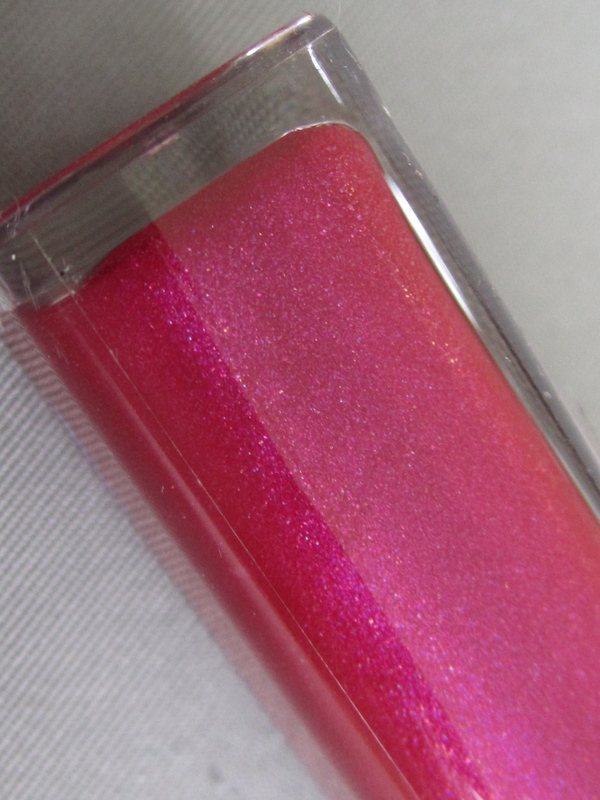 The packaging is pretty and you get a good doe foot applicator with this gloss. I think this is a good buy. The color and formula are a hit for me. One thing I have noticed is that I have to put this on with a mirror. Because of the formula’s thickness it isn’t one of those slap it on and go shades. I have to look at it in the mirror to make sure it’s evenly coating my lips. See in the picture above how it’s a little uneven on my top lip? Yeah…that is what happens if you put it on without taking a look in the mirror. 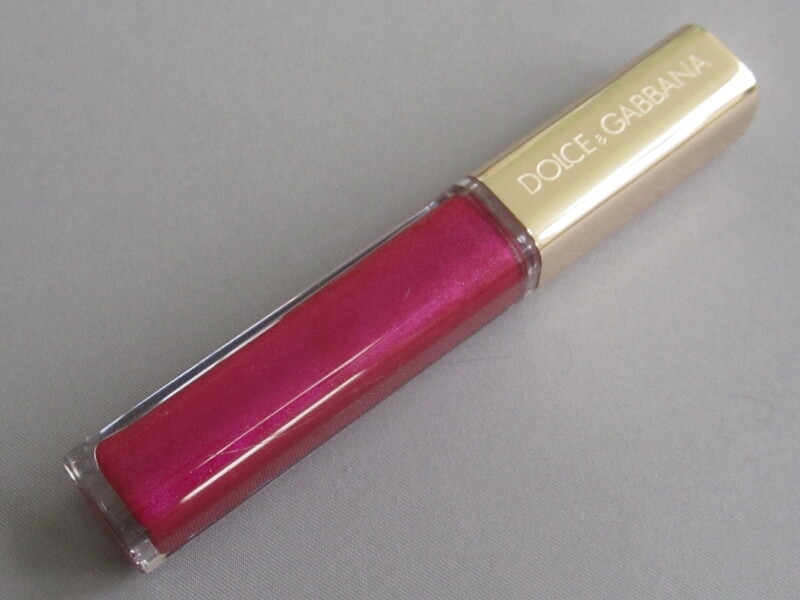 I have another D&G lipgloss color to show you and I’ll do that soon. These retail for $29 each so I’d recommend visiting your nearest D&G counter to swatch them yourself. There are some great colors available. Disclosure: I purchased this item myself! This color looks beautiful on you. I didn’t expect as much color payoff as it offers. Great buy. I was surprised too. It’s a great bold color. Hello Crystal, i want to buy this shade, but i have a question: doesn´t this shade look teeth yellow? (e.g. 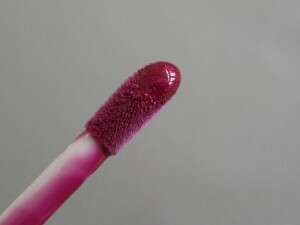 i have chanel jealousie, it is similar fuchsia shade and it makes my teeth yellowish optically, but e.g. DG gloss Bronze makes my teeth nice white)…. Not for me. I really like glosses like this and Jalousie (blog post:http://crystalis007.com/chanel-jalousie-glossimer-169/) and they don’t make my teeth look yellow. I only notice a yellow-ish tint issue with certain purple shades personally.